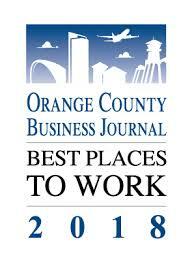 The Orange County Business Journal ranked TAG as the 7th Best Place to Work in Orange County in 2018 (in the small business category). In 2017, The Orange County Business Journal ranked TAG as the 8th Best Place to Work. We are pleased to move up one position in their rankings, but we are not satisfied. We are always striving to improve our culture and our business to make it one of the most attractive companies to work with in the United States. Newer PostTAG named as one of the nations "Best and Brightest Companies"
Older PostTAG receives "Quarterly Cup" for highest quality sales in industry. Copyright © 2018 TAG. All rights reserved.